Once every month, on average, somewhere on Earth a fireball appears out of nowhere and for mere seconds, casts a blinding flash across the sky before it blows up in a thunderous explosion. It happened last Saturday over southern Africa, where a small space rock disintegrated in the night sky and – possibly – scattered debris on the ground, awaiting discovery by meteorite hunters. Despite their relative frequency, of all the small space rocks that have impacted Earth, only three have been spotted by telescopes during the final hours of their collision course with our planet. All of them happened to be discovered by the Catalina Sky Survey, or CSS, and coincidentally by the same man: Richard Kowalski. Kowalski is one of the CSS's senior research specialists and a 13-year veteran of the University of Arizona's Lunar and Planetary Laboratory. The CSS is the only asteroid search program capable of detecting imminent small impactors, says director Eric Christensen. On June 2, 2018 LA registered as a pixelated smudge on the camera sensor of the UA's 60-inch survey telescope on Mt. Lemmon when it was roughly the same distance from Earth as the Moon. Less than nine hours later, the 6-foot bolide exploded in a ball of fire in the night sky over southern Africa. "A key part of this sensitivity is processing the data immediately as it's acquired, and having skilled observers like Richard review the data, and report and follow up anything new and potentially interesting," Christensen says. "Though our primary directive from NASA is to detect and track larger near-Earth objects, our survey is sensitive to smaller but closer asteroids as well." Over the last 20 years, the CSS has discovered about 8,500 near-Earth objects, or nearly half the known NEO population, plus more than 100,000 non-hazardous Main Belt asteroids and hundreds of comets. 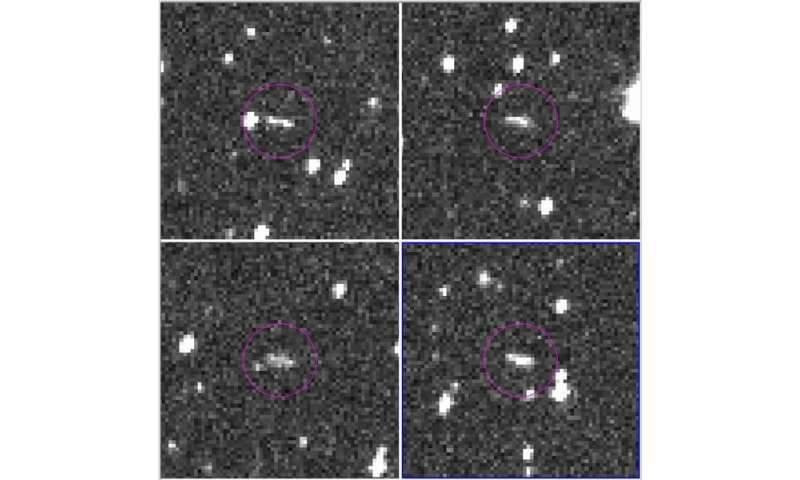 Why does the vast majority of small asteroids like 2018 LA go undetected? Kowalski: The sky and the solar system are very large, and the field of view with our telescopes is small in comparison. That's why it takes about a whole month to scan the entire visible sky. Other limiting factors are the fact that Earth itself gets in the way, so you can only see certain parts of the sky depending on where you are. Also, daylight prevents us from detecting anything for half the time. The smallest asteroid we detected was about a meter across. But for such small bodies, the conditions have to be just right. You know how you sometimes spot a plane in the sky that's very far away, but because the sun hits it just right, you can see it glinting? Spotting small asteroids is very similar. The telescope has to be looking at the right point in the sky where the object happens to be just as it becomes bright enough to see it. Just due to their small size, many rocks slip through. Can you walk us through the process that the Catalina Sky Survey uses to find near-Earth asteroids? Kowalski: We work in a systematic manner; we try to cover the entire visible sky at least once a month with our 60-inch survey telescope on Mt. Lemmon, and at least four times a month with our 30-inch Schmidt Telescope on Mt. Bigelow, which has a wider field of view. Most of the system is automated. Each evening, we program the telescopes to follow a certain pattern. We take a 30-second exposure image of one part of the sky, then the telescope moves to an adjacent part, makes another exposure, and so on. After imaging 12 patches of sky in this manner, it goes back to the first field, and it goes through this sequence four times, spread out 40 minutes apart. A specialized software gets rid of the stars in the image, looks for things that could be moving and presents those to the human observer sitting in the control room. The human eye-brain combination is better at pattern recognition, and that is why we have humans look at every image. Many of the objects flagged by the software are real asteroids, but some are artifacts caused by cosmic rays, very faint stars, satellites or electronic noise in the system. We look for all those things that don't look right and check them for consistent movement. Before we start working every night, we download the database of all known asteroids. Once we find a signal that is a real object, we create a digest, which calculates the direction and the apparent motion in our image, and how much it deviates from the predicted movement of main belt asteroids between Mars and Jupiter. If we have a new discovery that shows it is not a known object, we send an email to the Minor Planet Center in Cambridge, Massachusetts, where colleagues will also do a number of checks. Once their computers go through those checks, the objects gets listed on the near-Earth object confirmation page, NEOCP, which anyone can access: it will tell them where to point their telescopes. The entire process, from the time something shows up on my screen to being published, only takes about 10 minutes. How many new asteroids are discovered this way? Kowalski: Our current rate of discovery can vary from one object per night to up to 20. Our record for a single night is somewhere around 30. My personal record is 21 in one night. That was just a few weeks ago. With our new cameras, we cover so much of the sky and we are so efficient at the process that we typically average anywhere between eight to 10 per night, which range in size from 1-2 meters up to as much as a kilometer in diameter. But the larger ones are quite rare. Most average from 10 to 50 meters, and nearly all of those are harmless—they won't hit the Earth at any time soon. Speaking of risk, how dangerous are small asteroids like 2018 LA? Kowalski: In the case of a small body like 2018 LA, we know that if it drops meteorites, they're going to be small pieces, fist-sized down to pebbles, and the rest turns into dust and vapor. In the grand scheme of things, asteroids in that category put on a light show, but they're not dangerous in any way. As the object slams into the atmosphere, the rock is slowing down so rapidly that the back is traveling faster than the front and the pressures get too high for the material to remain intact. That's why they explode as fire balls. There is a lot of energy output because of their speed and the resulting friction. What determines whether an asteroid will burn up in the atmosphere or fall to the ground? Kowalski: In short: direction, velocity and what it's made of. Also, the object's trajectory: If it hits Earth head-on, it is likely to be moving very fast, tens of kilometers per second. Those objects are much less likely to survive the entry unless they are very large. 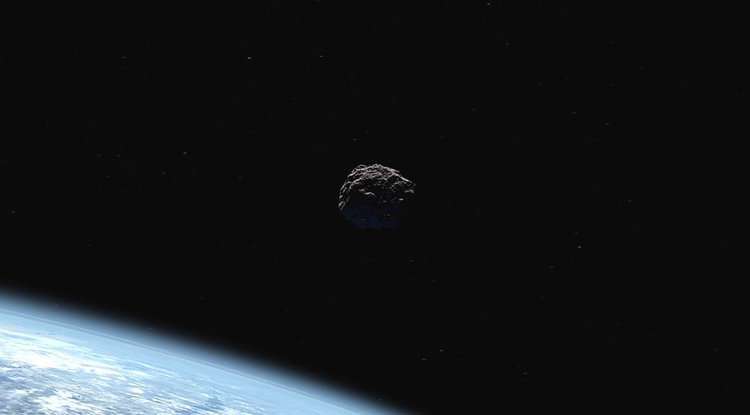 On the other hand, if an asteroid is catching up to the Earth from behind, it could come in very slowly, and therefore could be smaller and still reach the surface. Some meteorites are very brittle, and those tend to go up in vapor and dust very easily, while others literally are cores of iron from another asteroid. Those have much better chance of reaching the ground. How much do you know about an asteroid once you have discovered it? Kowalski: We don't do any physical properties assessment. When we discover near-Earth objects, we only point them out so other groups and amateurs can make follow-up observations to find out, for example, how fast they're rotating, what they are made of and things like that. Every once in a while, you'll hear conspiracy theorists say we would deliberately not tell the public if we discovered a large and potentially hazardous impactor on a collision course with Earth. The truth is, every object looks essentially the same, it's just a grey dot on the screen to me. I'm not in any way knowledgeable if it's going to hit, or what it's made of, etc. The very process of discovering these objects and the short time ensure that the information gets out immediately. We want the public involved, and we want to reach as many people with telescopes as possible, because the more follow-up observations we can spread out over the time, the more accurately we can predict where those things may come down. How did you find out that with 2018 LA, you had discovered another asteroid that ended up impacting Earth? Kowalski: I typically work until dawn, and I don't sleep very well on the mountain, so I commute home every morning. I didn't know it would impact until I woke up the next morning. Quite often I'm the last to know. Our team of observers is doing the same job—looking for these impacting asteroids—so discovering them is not a big surprise. What was a big surprise was the fact that I happened to be the one who discovered all three observed impactors. My wife suggested I treat myself to a large T-bone steak that day to celebrate, and that's what I did. More observatories like the CSS should be built in order to discover a potentially dangerous impact, which is not an uncertain event in any way. The CSS doesn't have large telescopes (the largest being 1.5 meters diam. ), so not very expensive either. My guess is that a significant impact will likely bring local, not global devastation (smaller asteroids are more numerous than larger ones) and a "surprise attack" will most probably come from inside the Solar System (from the general direction of the Sun), as asteroids are harder to detect in that area, having the Sun behind and maybe a bit to the side. Such impacts are not to be underestimated; their probability is hard to assess (since smaller asteroids are harder to detect and count) and not very useful (probability is not prediction) and even a local impact may have global consequences leading to an abrupt change in political events, something that can seriously affect human civilization. Difficult to spot these objects, NEOSSat seems to be having no success at all. Maybe if a civilisation terminating monster was heading our way it would be best no to know? So I can get thoroughly drunk. With the smug satisfaction of knowing that I will miss the resulting hangover. Would that event qualify as rock 'n roll? What if we could avoid the end if we knew about it? Well G, if we had any capacity to alter the trajectory of a gigatons of high-speed rock coming at us? It is more complicated than it looks. End-of-humanity asteroids are popular because of movies, the media and the dinosaurs. Actually they are quite improbable. Those that can bring local devastation are more probable. With those it is easier: you don't have to deflect them; you have to discover them and then evacuate the area that is going to be hit. That can save millions of lives.